Jennifer Comet Wagner is the founder and writer of the blog, Connect with your Teens through Pop Culture and Technology. Her goal is to help parents keep up with pop culture and technology as a way of bonding with their tween, teen and college aged kids. Jennifer also writes for Technorati media and is affiliated with Lifetime Moms, PlayStation Family, Yahoo Motherboard and Project You Magazine. She has been quoted in USA Today, the New York Daily News, AP and WebMD on her views on TV parents, texting, summer jobs for teens and gaming. Jennifer appeared on an ABC News webcast with JuJu Chang and Lee Woodruff about hypertexting teens and the WPIX Morning News about talking to teens about prom. She was also interviewed on Mind Your Own Business Radio on the benefits of watching television. Jennifer Comet Wagner has both a J.D. and a M.L.S. Previously, Jennifer was an academic law librarian teaching students legal research and coordinated a conference program titled “Multitasking Millennials”. She also ran a computer school for children during the 1990s. 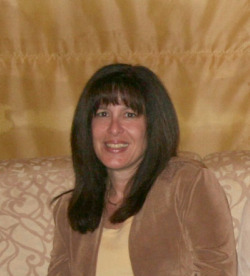 Jennifer Comet Wagner lives in New York City. She is married and has two sons, whom she has always connected with through pop culture and technology. Wouldn't it be great if parents learned to game with their kids and stopped worrying about video games? Would students benefit if teachers and school administrators understood the vast potential of gaming in education? Are all doctors and healthcare workers aware of the many advances of video games in healthcare? "Finally, the voice of reason! I love Jennifer Comet Wagner's approach to this controversial topic. 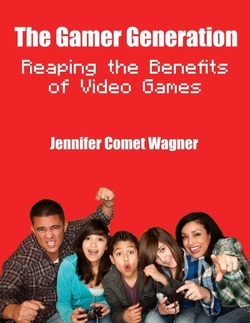 Wagner gives amazing insight for parents and adults who want to not only understand how gaming is affecting this generation but also how to embrace it." --Vanessa Van Petten, Author of "Do I Get My Allowance Before or After I'm Grounded?" and RadicalParenting.com.